NEW AGE CALI GOLD RUSH! It was a Cold February,1901, when Walter Dimmick walked out of the San Francisco Mint carrying a small travel suitcase with him. He was tired looking and worried as he was ready to climb into a vehicle, when a gentleman approached him seeing him struggle with the suitcase. The car sped away into the cold evening. Fast forward to today, a husband and wife, being represented by Don Kagel, owner of a Prestigious Coin Dealership in NW CA, revealed a stunning find: Gold Coins with dates ranging from 1854 to 1894 have been discovered on land in the Gold Country section of CA. 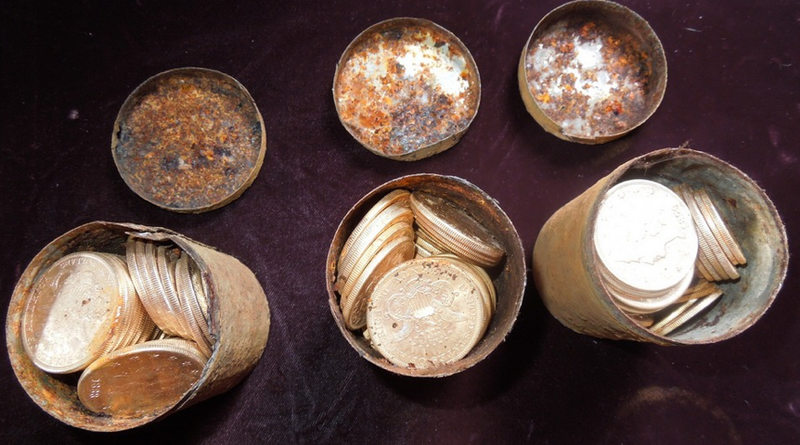 The find, which consists of 1427 $20.00 Double Eagles, a few $10.00 and a $5.00 coins, most of which are in Mint Condition, could be worth 10 million or more, were discovered buried in 8 tin cans on the Couples property. Don Kagel states the couple, represented by their attorney, have no idea who would have buried the coins. 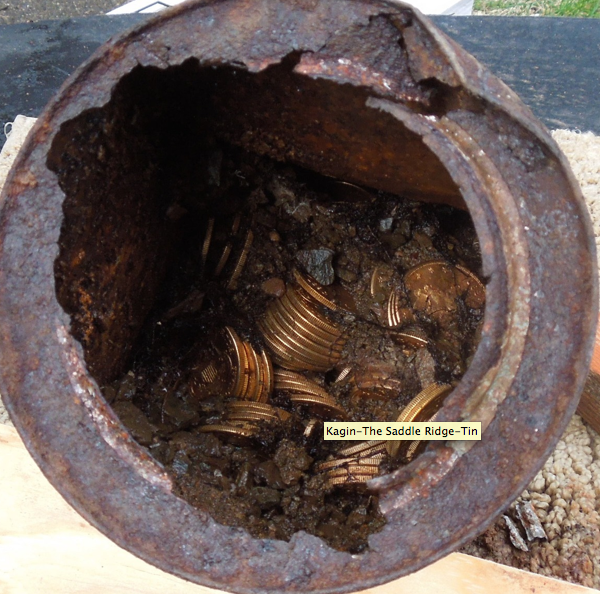 The coins had been separated by date into 8 cans, were uncovered by accident by the Husband and Wife while walking their dog on a trail they often use. The hoard is being called the Saddle Ridge Hoard, in reference to the unusual rock that was placed near a tree where the coins were found. These were our final words my father sent me Thursday morning before passing on February 27 2014. We lost contact less than an hour later. Medical examiners suspect from a heart attack, results currently unknown. Some may call it the Roby curse; 4 generations passing at the same age, for the same reasons. At least he passed with adventure in spirit.